Software vendors such as Oracle change their online terms and conditions regularly. This often happens without their customers even knowing it. Software vendors such as Oracle change their online terms and conditions regularly. This often happens without their customers even knowing it, resulting in possible contract breaches and great financial risks, especially for enterprises. In this article you read why software vendors change their online terms so often and what you can do to prevent an out-of-compliance situation for your company. Software providers increasingly refer to general, standardised conditions on their website in their contracts. Oracle is a good example of this. In the case of cloud software, there is a reference to an URL for almost all conditions. It goes without saying that you read the online terms before you sign a new whale of a contract. Only then you know exactly how you are entitled to use the software you purchase. However, it is equally important to monitor the online terms after signing the contract. Conditions can also be changed later after signing a contract - and that’s something not everyone is aware of. Even though it might sound a bit shifty at first, there is a fairly good explanation for changing the terms. Things that do not exist - such as new legislation or new technology - cannot be defined contractually, but you would like to keep them in mind for the future. For example, in a car rental agreement, there is no question whether you can or can not drive on water. That's not what the car is designed to do. If this becomes technically possible, then you, as a renter, would want to know what you're in for. Can I drive on water under any conditions? When will I be liable for damage? Or even: Should my windows be open or closed when I drive on water? This way of thinking also applies to software contracts. In order to prevent any new software contracts from having to be renegotiated with thousands of companies, online conditions have been invented. Perhaps there's a new technology that may affect the way you can use certain Oracle software - think of the virtualisation trend from a few years ago. Oracle can immediately add an additional clause to the online conditions. In theory, this way you always know where you stand and you can prevent compliance issues. The reality is more cumbersome. Software vendors seem to adjust their online terms and conditions continuously. Oracle for example made over a hundred changes to the contract pages on its own website in the last five months only. Moreover, not every new clause has the same impact on every company. A clause about in which countries you may use certain software means something different for a municipality than for a multinational that operates in four continents. What these changes mean for who is not always immediately clear: because the terms apply to everyone, they are described in fairly general terms. Therefore, each change must also be interpreted from a, contractual, technical and financial point of view. Knowing that Oracle made a change in its terms is one thing, understanding how to act on it is what really makes the difference for your company. Additionally, the communication from software vendors on new terms or changed terms is rather scarce. For consumer apps, a change is generally not to be missed: you receive a push message on your smartphone and you can continue only if you accept the new terms. That nobody reads those conditions is another discussion, but at least the notification is in your face. Oracle on the other hand, announces a change only on its website and puts it in the newsletter or product updates. If you really want to know what has changed, you have to search for it proactively. Some people are convinced that Oracle deliberately keeps it vague, to later make allegations, but that’s jumping to conclusions. Its communication could be more concise, absolutely. Oracle could explain their changes better and at least tell its customers that there changes are happening all the time and that they should be aware of this. On the other hand, it is simply impossible for Oracle to individually inform every company about each change. As shown in the example above, not every change is relevant to everyone. Moreover, Oracle does not sell all its software itself, so it doesn’t know exactly which company uses what. This makes the scarce way their communicating now a little bit more understandable. On top of that, complaining about Oracle’s way of communicating just won’t help your company. For every IT manager who wants to use purchased software correctly and does not want to have a claim from Oracle on his plate, there's only one thing to do: take action. You now know that online terms are changing all the time and that one change can have a huge impact. It may happen that you suddenly violate Oracle's agreements without even knowing it. Violating these agreements, even if it’s not on purpose, can result in serious financial risks. This means that you actively have to monitor the changes in the online terms and conditions, interpret them and then act upon them. Especially for enterprises with their huge IT budgets this should be a no-brainer. Make it an ongoing part of your software asset management approach, find experts who can help you with this and don’t underestimate the risks. Better safe than sorry. 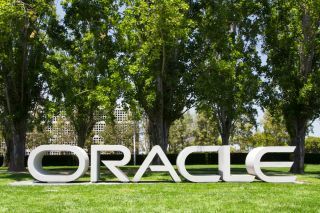 It is good to know that these things are not only happening at Oracle, but also at other major software vendors such as Microsoft, SAP and IBM. The world of enterprise software contracts is a very complicated one and you simply have to deal with knowledge – at least for now. It is true that the wording of terms and conditions is often generic and communication about changes is limited. But whatever you think of this approach of the big software vendors: if you use their services, you can simply not ignore their terms and conditions. Anyone who doubts this, I would like to refer to this episode of South Park. You never know what can happen if you don’t read the terms.